Peter Hughes Landscape Ltd. is a Calgary-based company that specializes in an extensive range of exterior landscaping services. From all aspects of custom design and construction to lawn and garden maintenance, we have years of experience in both the residential and commercial sectors of the landscaping industry. An aesthetically-pleasing and properly maintained exterior space is an important component for both residential and commercial spaces. And we know the landscape of Calgary: the plant hardiness zones, the average length of our growing season and what vegetation and materials respond to our climate and how best to maintain them. Not only do we strive to consistently deliver exceptional quality management, efficiency, innovation and safety with every project we undertake, we work closely with our clients to ensure their vision is realized and all expectations are met and exceeded. Our reputation speaks for itself: our clients are continuously satisfied and our track record of repeat business is second to none. 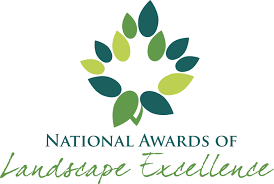 We are proud of our many accomplishments and strive to maintain our status as an award-winner in the landscaping industry. No matter the size and scope, we dedicate the same amount of energy and creativity to every one of our projects. Get in touch with us today and see how we can help you realize your landscaping dreams.